Pinsent Masons are an international, full service law firm with a wide range of clients in the private and public sectors alike. Ashtead Hospital is one of Surrey's leading private hospitals with an excellent reputation for delivering high quality healthcare for self pay/insured and NHS patients. Conveniently situated, the hospital is located in tranquil, wooded surroundings. These provide a peaceful environment to aid a speedy recovery. We are a well-established family business based in Leatherhead and cover the whole of the south-east, and London. We have over 12 years’ experience and have many reputable and long servicing clients. We pride ourselves on providing a professional, competitive and reliable service with our strong knowable team. We are uniformed, friendly and approachable. Kenneth Brian Associates was founded in 2016 to provide an outstanding finance recruitment staffing service, across the South-East. With over 30 years combined experience within the finance recruitment sector, we can offer candidates an extensive client portfolio of Plc, SME, Not For Profit and Accountancy firms. The Red House is an excellent, independently-run home of character and distinction offering both Residential and 24-hour Nursing Care of the highest quality. The Red House is home for up to 25 residents in single rooms, tastefully decorated and comfortably furnished yet retaining much of the character you would expect from a late Victorian house. This large late Victorian House is set amidst mature trees and shrubs and situated in a highly favoured residential area, yet only a few minutes walk from a wide range of local amenities. 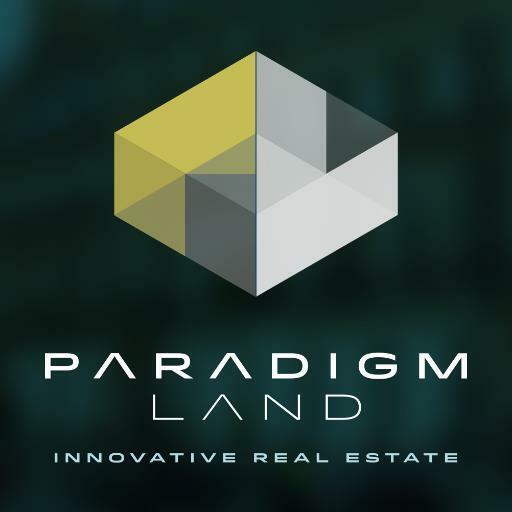 Paradigm Land creates value through innovative design and project execution. The business has grown to become a premier residential-led property company and developer. AJ Fordham are the Surrey Championship main sponsor, the league that our 1st XI to 4th XI play in each Saturday of the season. The In-Touch Cricket Academy has different levels of coaching for club, district and county age group cricketers with our development courses through to our Elite Academy squads for young cricketers ranging from u9 to u18 in age. The coaching programmes are led by coaches of vast experience covering the technical, tactical and mental aspects of the game. Currently the Academy uniquely has four UKCC Level 3 qualified coaches. Over the last five years a number of young Ashtead players have come through the coaching programmes as juniors progressing into the current senior teams at Ashtead including the 1st team. In the autumn / winter period U15 Ashtead cricketer Jake Martin won a scholarship to join the In-Touch 10 week programme which started in January. This will become an annual scholarship awarded to a young player at the club. Mini Crickets is a unique kids cricket coaching program specifically designed for children aged 3-8 Years. Challenging skills and drills are made easy with 'Crickety' and his friends. Mini Crickets is a junior cricket program created by Jon Albert in 2009 to inspire the next generation of Cricketers! “As a Teacher, Surrey Cricket Coach and a father of 3, I noticed there were no other kids cricket opportunities for 3-8 year olds. From my own point of view I always wanted my children to enjoy sport, but equally want them to be stretched from an early age. I believe children are far more capable at times than we give them credit for, therefore although our program is all about developing your child’s physical learning of cricket and social skills attributed though enjoyment, our unique concept enables the core skills of cricket to be introduced from an early age to great success.” For the last 3 years running we are honoured to be nominated for an ‘Outstanding Services to Cricket Coaching Award’ at the Natwest OSCA’S at Surrey County Cricket Club. Mini Crickets has also proven to be a significant feeder into County Cricket with 8 of our clients last year successfully making it into the Surrey County Cricket Performance Squads! Coaches are all highly qualified having undergone an intensive inset program, as well as undertaking DBS/first aid and ECB coaching awards. Weekly sessions start week commencing Monday 12th September at Downsend School. Please visit www.minicrickets.com for class times and further information. Box Hill School has a long heritage of delivering first-class learning in a warm, supportive, holistic and nurturing atmosphere. For nearly sixty years we have proudly remained a truly independent school. A founder member of ‘Round Square’ alongside Gordonstoun in Scotland and Aiglon College in Switzerland, we promote international understanding, democracy, a care for the world around us, a sense of adventure, and the qualities of leadership and service. We see excellent academic results as an outcome of a focus on character. Over 400 students attend Box Hill School. We are a co-educational 11-18 day and boarding school which offers GCSEs, A levels and the International Baccalaureate programme. Two thirds of our students are from local British families, and come from towns and villages surrounding Box Hill. Our community of 150 boarders represent 36 different countries around the world.